All game related guides goes here. Ever since the PBO beta released, I've noticed that a lot of people are confused about how the stat system works here. That is, of course, a perfectly normal reaction to the different stat system we have in PBO. As a result, I'm publishing this guide to help answer ALL questions that anyone may have regarding PBO's stat system. Does this game have EVs / IVs? EVs do not exist within PBO. As for IVs, every Pokemon has 31 IVs in all of its stats. Are the base stats of Pokemon same as the original games? Nope. For all Pokemon with less than 600 BST (base stat total) in the original games, their base stats in PBO are exactly half of their original stats. However, for all Pokemon with more than 600 BST, their base stats are slightly higher than half of the original. Q. So, how do I add stats to my Pokemon? 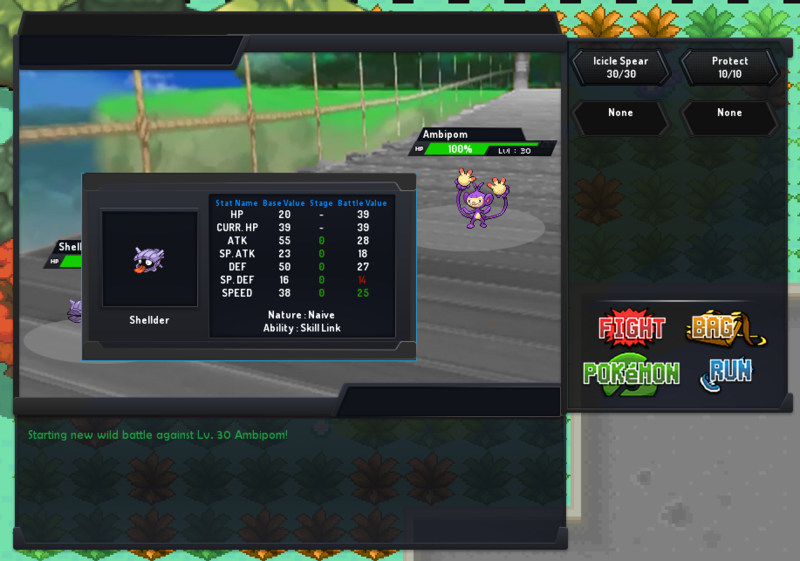 Players can add stat points (SPs) to their Pokemon's base stats directly. Pokemon get 3 SPs for each level they gain between levels 1-99. When they reach Level 100, they gain 6 SPs for that final level. Thus, players can add a total of 300 SPs to their Pokemon's base stats. Q. Why do my Pokemon's stats look different inside battle? It is these stats to which players can add SPs. 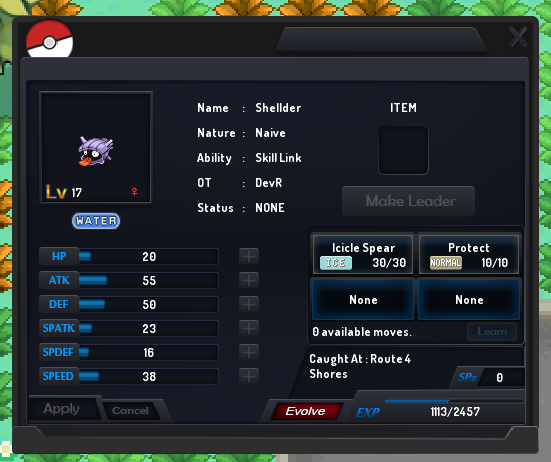 For example, if I add one SP to my Shellder's base Attack stat, then its value rises from 55 to 56. On the other hand, a Pokemon's battle stats are only visible inside of battle. To view them, the player must hover their mouse cursor over their Pokemon. Notice the column called "BATTLE VALUE" in the below image. Those are the Pokemon's battle stats. Q. How do natures work in PBO? Firstly, we use the standard set of 25 natures, like the original Pokemon games. This means we have natures including Adamant / Jolly / Modest / Timid / Bold / Impish etc. Their effect is also exactly the same as in original Pokemon games. This means that they increase one battle stat by 10%, and decrease another battle stat by 10%. THEY DO NOT AFFECT THE BASE STATS. Their effects are only applied to battle stats. Also, if you notice in the above image, the battle stat in red color is the one reduced by 10%, whereas the battle stat in green color is the one increased by 10% (due to the nature). Q. If all IVs are set to 31, then what about Hidden Powers? In the future, there will be a move tutor that will allow players to teach their Pokemon any Hidden Power move, i.e. players can choose one out of the 16 different possible Hidden Power types available. So, any Pokemon can have Hidden Power Ice, or Hidden Power Grass, or any Hidden power move they want. More details will be revealed once that tutor is implemented in-game. Is it possible to add a table of natures like the old forums thread? It'll make it easier for newer players who don't know nature stat changes off by heart. How can you say it's unbalanced without playing the game? There is a reason why it's half the base stat and there is a reason why it's 180 SP. We didn't randomly wake up and set it to 180 and half base stats.